There are currently 3,769 users on this website. 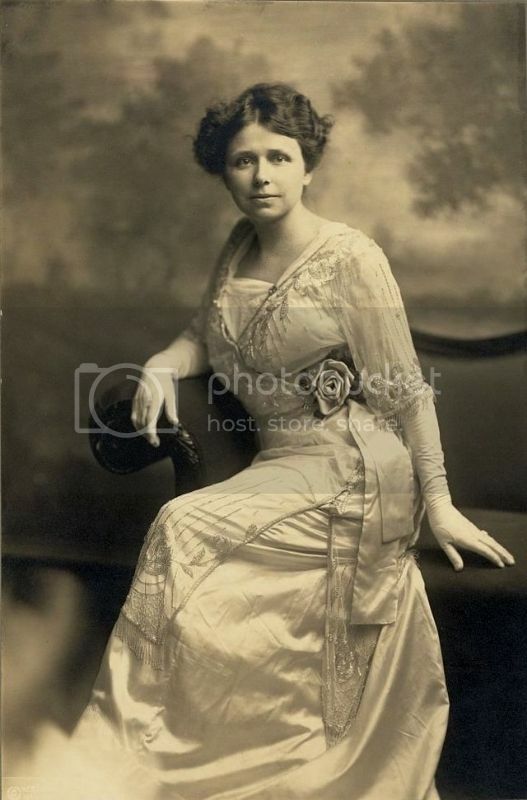 Happy Birthday to Hattie Ophelia Wyatt Caraway (1878-1950), the first woman elected to serve a full term as a United States Senator. 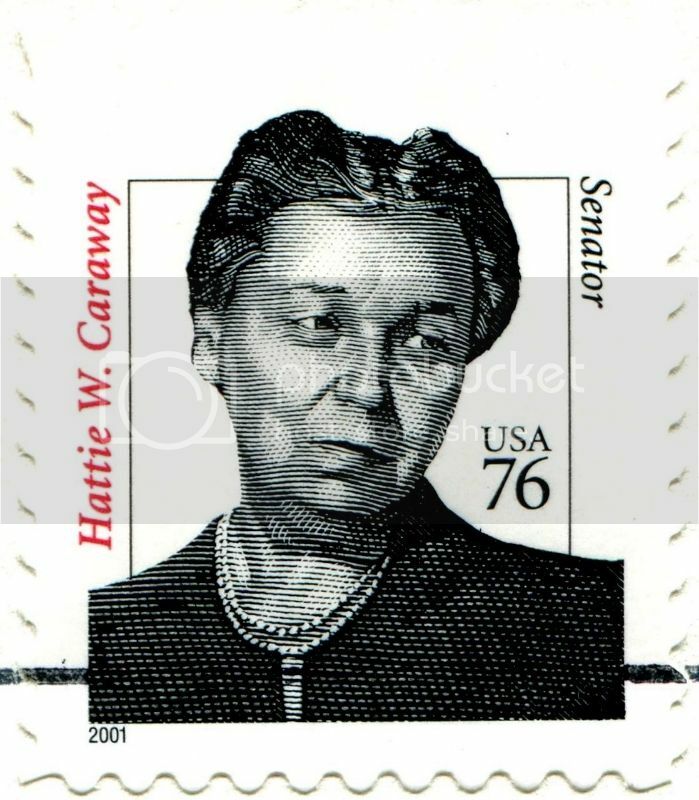 Caraway represented the State of Arkansas from December 9, 1931 to January 3, 1945. 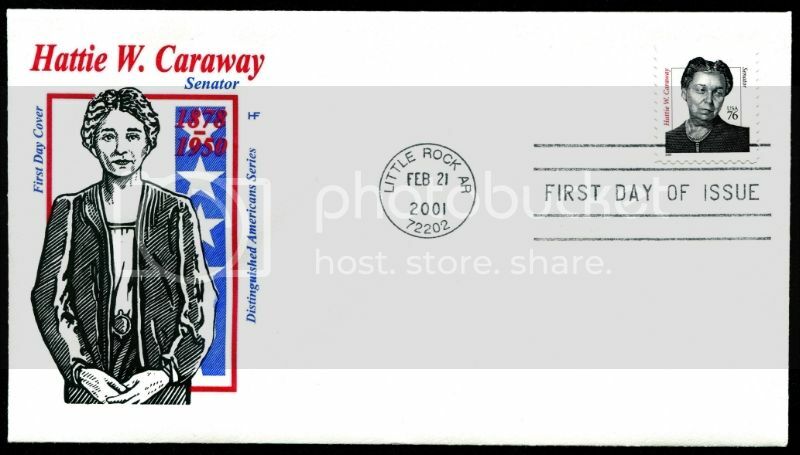 Here are images of a first day cover and a stamp featuring a portrait of Senator Caraway, designed by Richard D. Sheaff, engraved and printed by Banknote Corporation of America, and issued by the USA on February 21, 2000 as one of the "Distinguished Americans" series, Scott No. 3431, plus a photograph of Hattie W. Caraway in 1914. 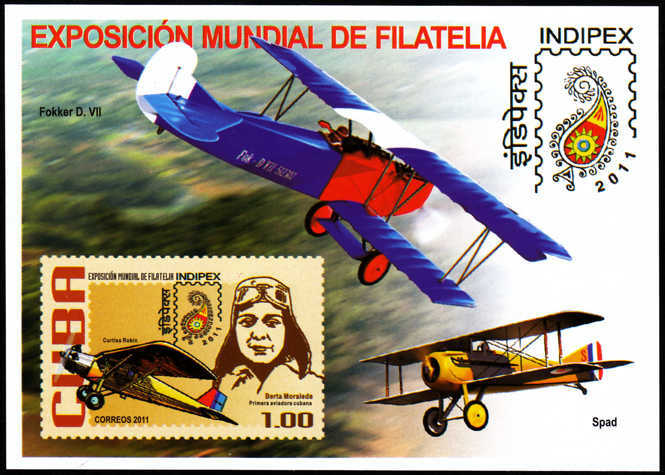 Berta Moraleda was first Cuban woman pilot. She flew in Curtiss Robin from 1928. Can anyone help me with more info of Berta Moraleda. 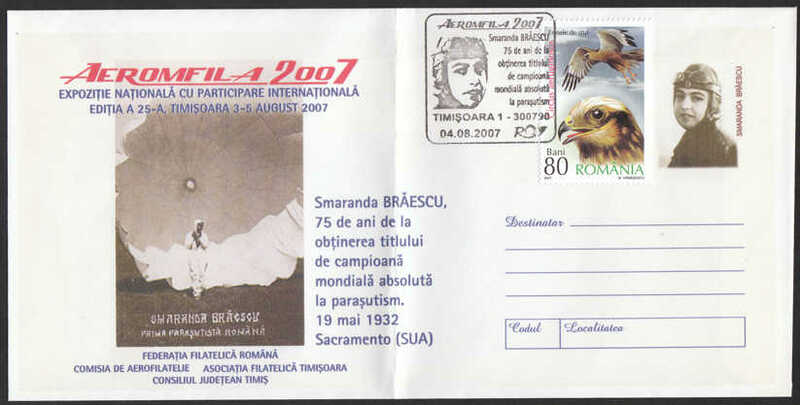 Smaranda Br�escu was a Romanian parachuting and aviation pioneer. In 1928 she got in Berlin a parachuting license as one of the first women in the world. 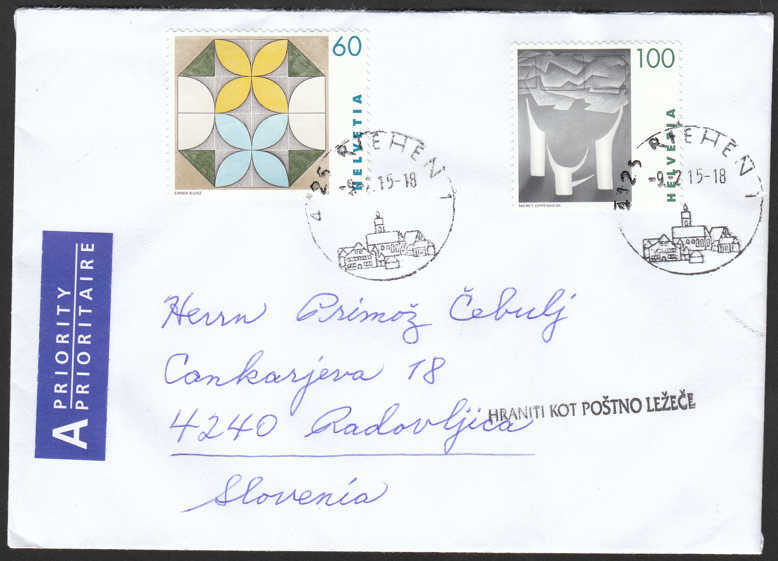 This nice cover and stamps arrived few days ago to me from Kris, thank you very much. 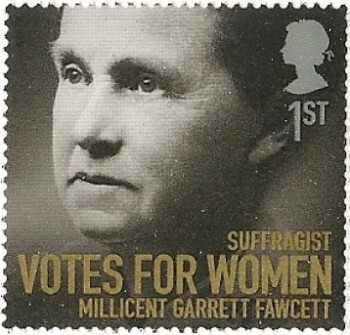 Millicent Garrett Fawcett (June 11, 1847 - August 5, 1929) spent a major part of her life campaigning for the right of women to vote. 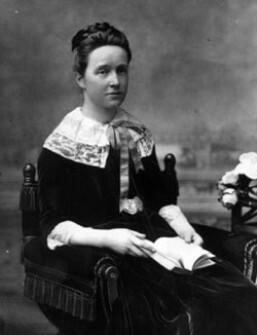 She helped to form the National Union of Women Suffrage Societies and became its president in 1907. 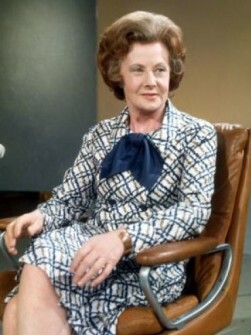 She worked through political pressure rather than joining in the loud public marches of the time. Women first participated in the election of December 1918. 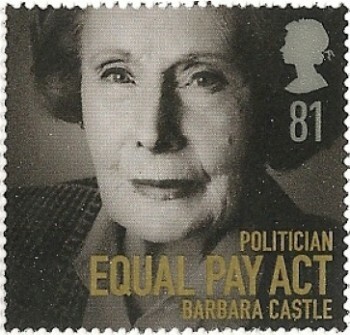 Baroness Barbara Anne Castle (6th of October 1910 - 3rd of May 2002) served as a Labor member of the British Parliament from 1945 to 1979, and then another ten years as a member of the European Parliament. 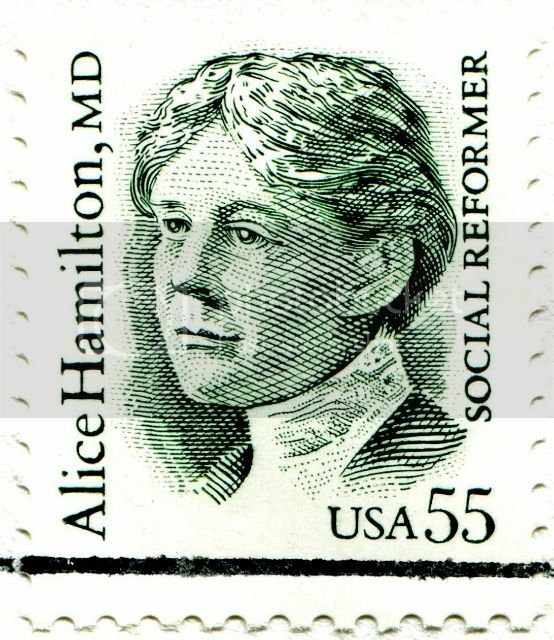 Among her many accomplishments the Equal Pay Act of 1970 is associated with her name. England still does not rank among the top 20 countries providing equal pay for men and women. 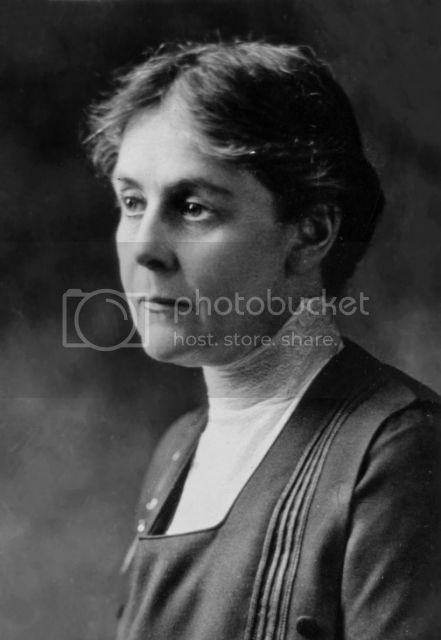 Happy Birthday to Alice Hamilton (1869-1970), an American physician who was a pioneer in the field of toxicology, a leading expert in the field of occupational health, and a social reformer. 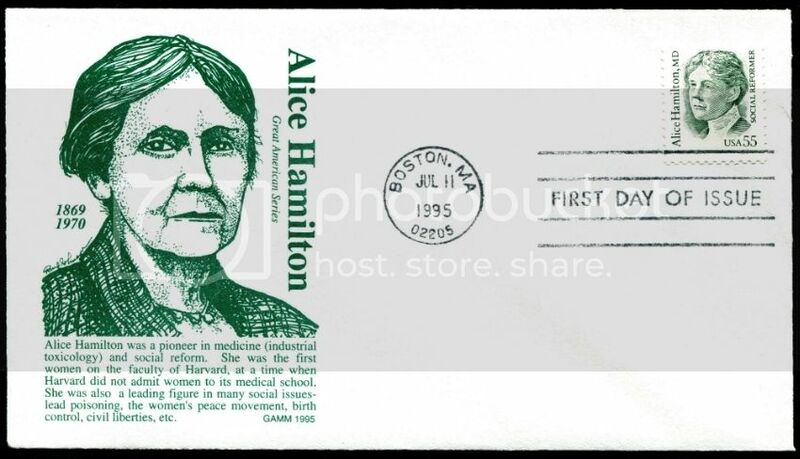 Here are images of a first day cover and a stamp featuring a portrait of Dr. Hamilton, designed by Chris Calle, engraved by Richard Baratz, and issued by the USA on July 11, 1995 as a stamp in the "Great Americans" series, Scott No. 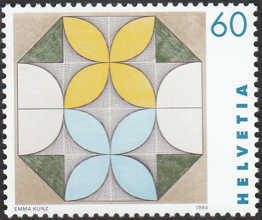 2940, plus a photograph of Alice Hamilton which was surely the model for this stamp's design. 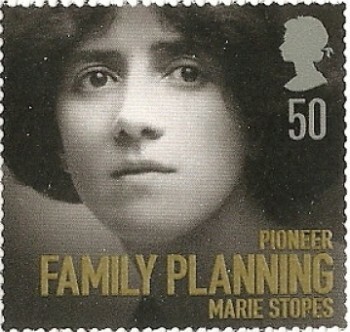 Marie Carmichael Stopes (15th of October, 1880 - 2nd of October 1958) spent much of her life educating women about family planning. 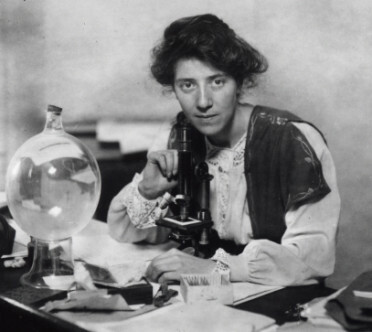 Her early accomplishments as a paleobotanist, and one of the first women to receive a doctors degree (1904) in a field of science are less well known. The Marie Stopes International organization has clinics for family planning in more than 40 countries today. Marie at her laboratory desk, examining and writing about the structure of coal. 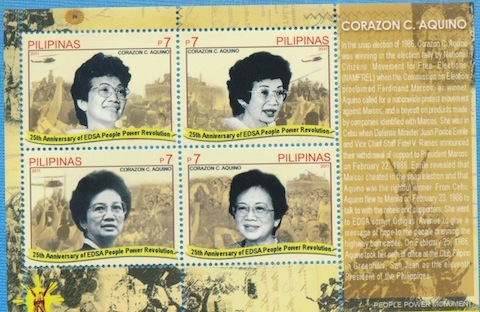 Philippines 2011 - 25th Anniversary of EDSA People Power Revolution with Corazon Aquino. 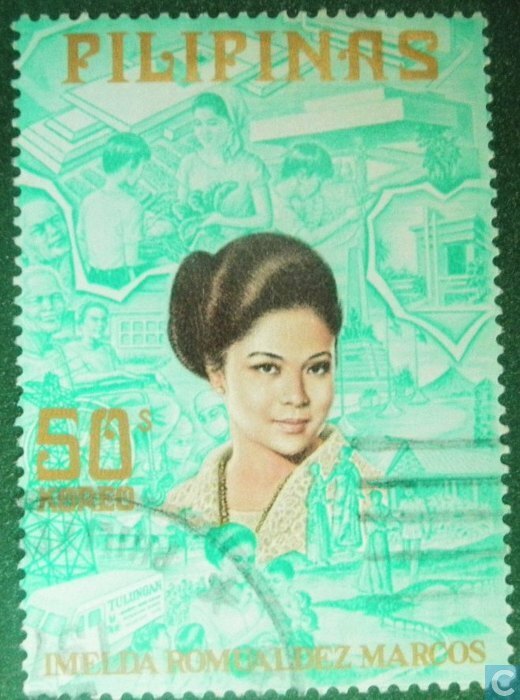 Corazon Aquino was the centre of the People Power Revolution that overthrew the Marcos government in the Philippines, and she took over the Presidency. My wife just commented that Imelda Marcos was more 'infamous' than 'famous'. 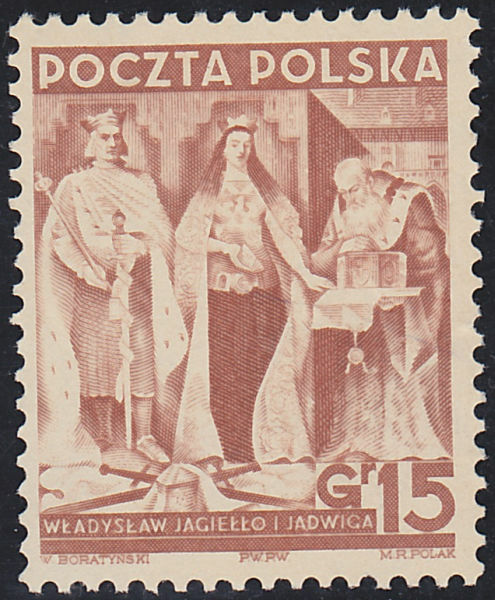 Jadwiga, the youngest daughter of Louis I of Hungary and of Elizabeth of Bosnia, was crowned KING of Poland on 16 October 1384 & died on 17 July 1399 after having given birth to a daughter. 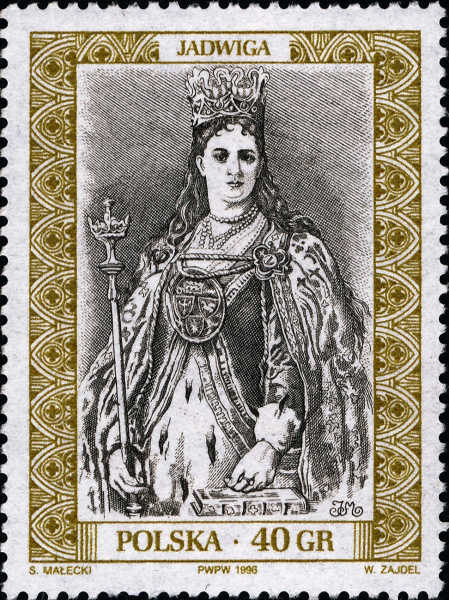 Queens who reigned in their own right were uncommon in Europe at the time so she was officially crowned a king rather than queen. 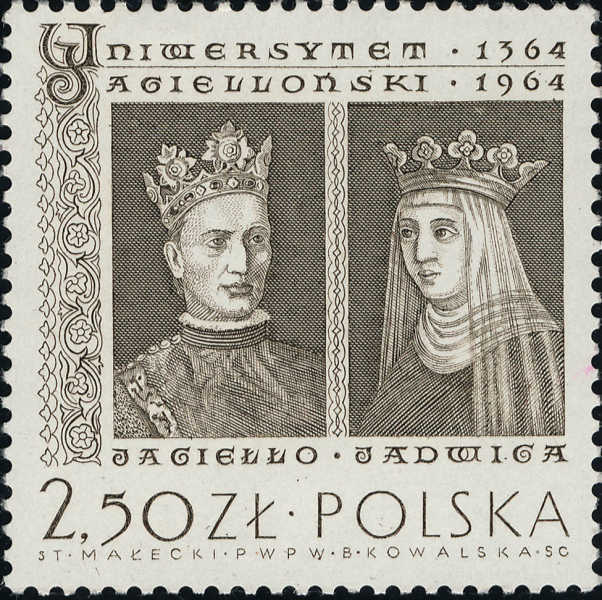 She is an important link in the transition of the Polish monarchy from the old House of Piast to the Jagiellon dynasty which was Lithuanian in origin. 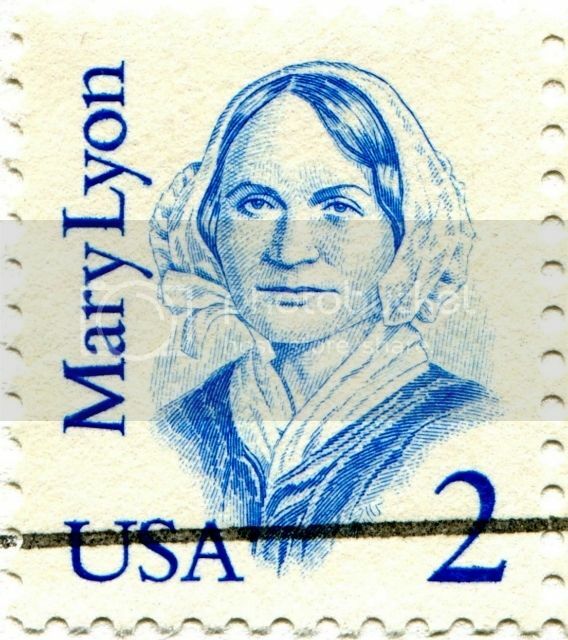 Happy Birthday to Mary Mason Lyon (1797-1849), an American pioneer in women's education who founded two women's seminaries known today as Wheaton College and Mount Holyoke College. 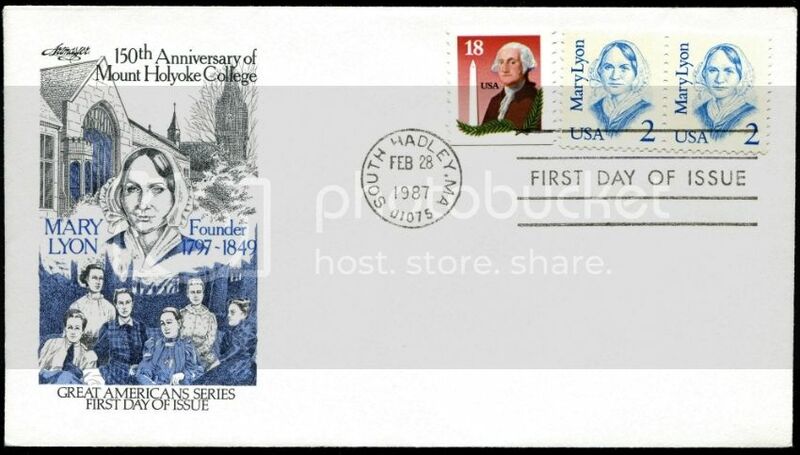 Here are images of a first day cover and of a stamp featuring a portrait of Lyon, designed by American artist Ron Adair, engraved by Joseph S. Creamer, Jr. (vignette) and Robert G. Culin, Sr. (lettering), and issued by the USA on February 28, 1987 as a stamp in the "Great Americans" series, Scott No. 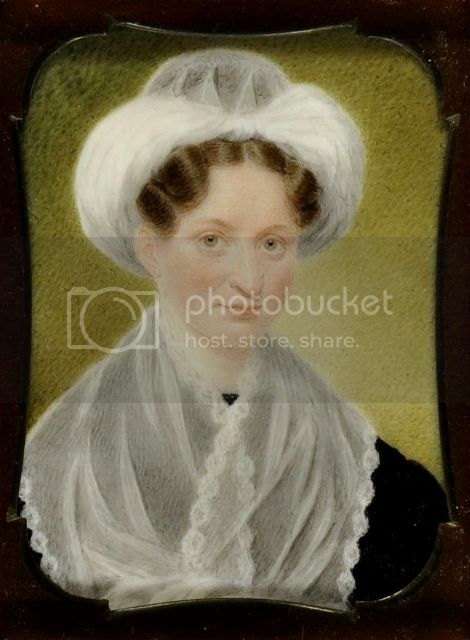 2169, plus an image of an 1832 miniature portrait of Mary Lyon. 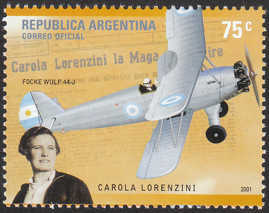 Carola Lorenzini is a pioneer aviatrice from Argentina. 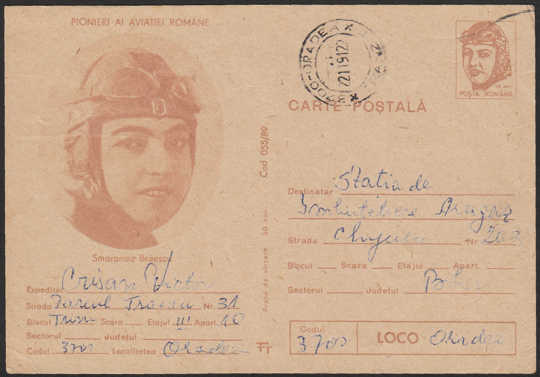 In 1933 she obtained her Civil Aviator pilot license. She is famous by her inverted loopings. 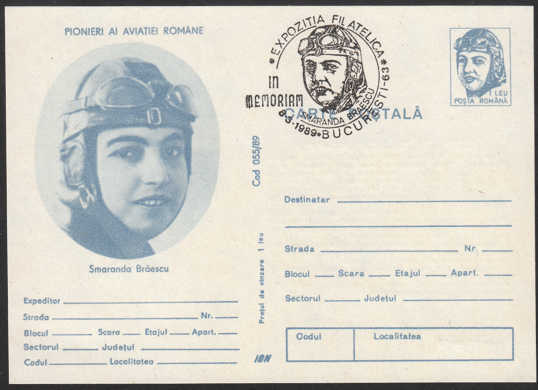 She died in 1941 in a plane crash while training for an air-show at The Mor�n Aerodrome. 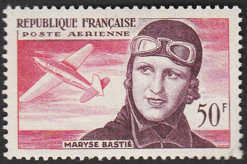 Maryse Basti� was a French aviator. 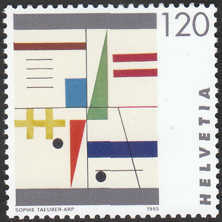 including for duration flying, distance, and a record time for a solo flight across the South Atlantic. She died in plane crash. Nadezhda Konstantinovna "Nadya" Krupskaya (1869-1939) was a Russian Bolshevik revolutionary and politician and the wife of Vladimir Lenin from 1898 until his death in 1924. 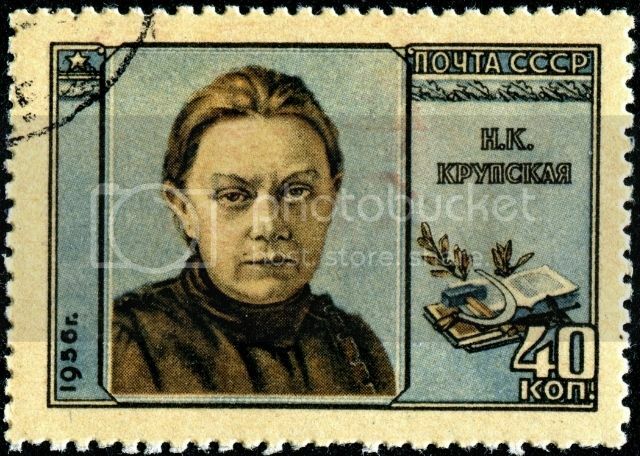 Here is an image of a stamp featuring a portrait of Krupskaya, designed by P. Chernyshev, printed by photogravure, and issued by Russia (USSR) on June 28, 1956, Scott No. 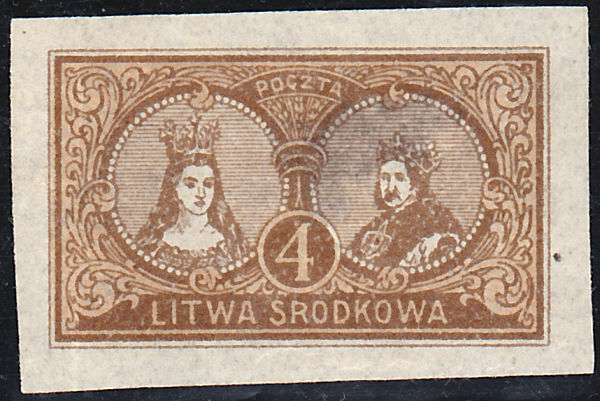 1831, Zagorski No. 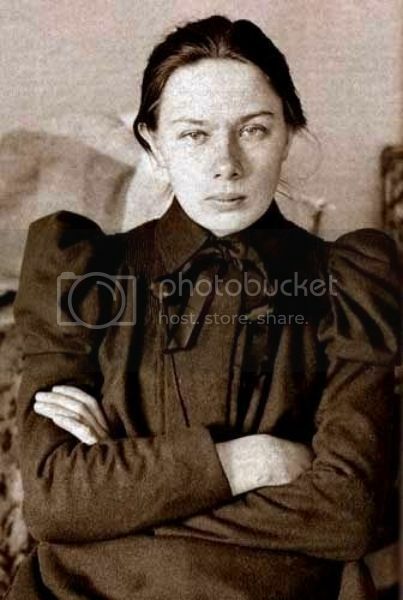 1810, plus a photograph of Nadya Krupskaya striking a no-nonsense pose, c. 1890. 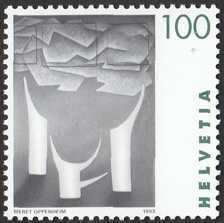 It took 0.86 seconds to lick this stamp.